How do we protect children with SEN from disablist bullying? Gareth D Morewood shares some shocking facts. I recently spoke at an event where I was fortunate to hear a talk from the Anti-Bullying Alliance (ABA). The ABA defines bullying as ‘the repetitive, intentional hurting of one person or group by another person or group, where the relationship involves an imbalance of power.’ As part of their address they shared facts and figures regarding bullying and group behaviour. With many witnessing this as part of their daily roles in schools, the delegates were particularly focused. The address focused on results of a survey by the Anti-Bullying Alliance, hosted by the National Children’s Bureau. 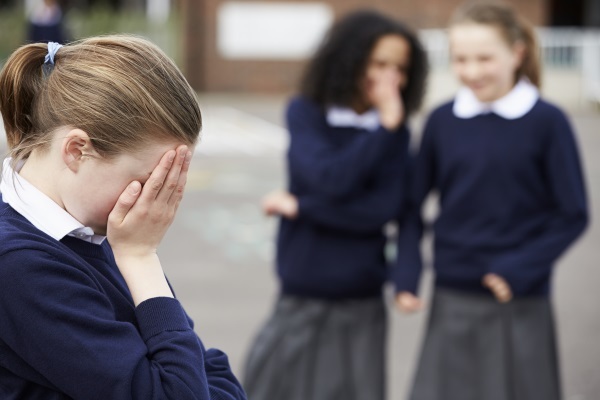 Responses suggest that adults are perpetuating and normalising bullying behaviour by using discriminatory language in their everyday conversations, with some directing abusive words at disabled people or those with SEN. The findings indicate that four in ten (44%) adults use the words such as ‘spaz’, ‘spastic’, ‘retard’ or ‘mong’ in ‘casual’ conversation – half of whom justify doing so as part of ‘banter’. In addition, 65% hear others using these words in conversation, with over a third (37%) witnessing them being used online. At Priestnall school we have been part of a project with the ABA and The World of Inclusion to develop materials for use in schools and produce short films. Find out more at Challenging disablist bullying in schools. In addition to disablist bullying, the ABA’s work on mental health and bullying will be of particular interest to colleagues, especially in light of the renewed focus from the Code of Practice. Which strategies are most effective in combating bullying? This summary of recent findings will provide some inspiration for adopting successful whole-school approaches.